He was the founder of the modern Kazakh literature, poet and writer, statesman and prominent member of the Communist Party of (Bolsheviks). SEYFULLIN Saken (Saduakas) (15.10.1894 — 25.02.1938) was Kazakh writer, one of the founders of modern Kazakh literature and statesman. He was born in winter quarters named Karashilik of modern Shet area, Karagandy region. He received education at the Nildin Russian-Kazakh School (1905 — 1908) and primary parochial school (1908 −1910). Saken graduated from the Akmola College (1910 — 1913) and the Omsk Teachers Seminary (1913 — 1916). Saken Seyfullin published his first collection of poems in 1914 in the city of Kazan under the name "Otken Kunder" ("The Past Days"). Seyfullin’s activity in the sphere of literature critic began in the Manas Journal (1914). Seyfullin worked as the teacher of Russian Language in the village of Silety-Bugyly, wrote poems in support of national liberation movement in 1916 in Kazakhstan. In 1917 after the February Revolution he moved to Akmolinsk (today the city of Astana), wrote poems, created an organization named "Zhas Kazakh" ("Young Kazakh"), participated in publishing a newspaper "Tirshilik" ("Life"). He was a member of youth organization "Birlik" ("Unity"). He wrote one of the first works about the destiny of Kazakh woman — narrative under the name "Zhubatu" ("Consolation", 1917). In December 1917 he was elected a member of the Akmola Council of Deputies and appointed Commissar of Education. In 1917 he published a play named "Bakyt Zholynda" ("The Path to Happiness", 1917). It was a work of drama calling people for revolutionary struggle. In June 1918 after the military coup he was arrested and thrown into "the carriage of death" of Ataman Annenkov. He was sent to a prison in the city of Omsk from which he escaped on April 3, 1919. After that he returned to his native village and then moved to Aulie-Ata (today the city of Taraz). In 1920 Saken Seyfullin came back to Akmolinsk where he was appointed Deputy Chairman of the Executive Committee and Head of the Administrative Division. 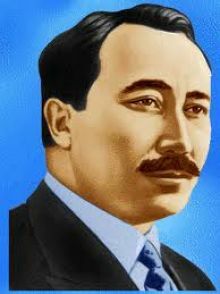 At the first Founding Congress of Soviets of Kazakhstan (on October 4, 1920 in the city of Orenburg) Seyfullin was elected member of the Presidium of the Central Executive Committee of the Kazakh Autonomous Soviet Socialist Republic. In the 1920s Seyfullin became editor at the Yenbekshi Kazakh (Working Kazakh) Newspaper, at the Kyzyl Kazakhstan (Red Kazakhstan) Journal. He was also appointed Deputy People’s Commissar for Education. In 1920 his play under the name "Kyzyl Sunkarlar" ("Red Eagles") was issued. In 1922 at the third congress of Soviets of Kazakhstan Seyfullin was elected Chairman of Committee of Soviet Commissars of the Kazakh Autonomous Soviet Socialist Republic. He also became a member of the All-Russian Central Executive Committee and of the Presidium of the Kazakh Central Executive Committee. In 1925 Seyfullin was appointed Chairman of the Research Centre under the People’s Commissariat of Education of the Kazakh Autonomous Soviet Socialist Republic. He worked as editor at the Adebiet Maydany (Literary Front) Journal. He also taught student at the Kyzylorda Institute of People’s Education, Institute of Journalism in Tashkent and Kazakh Pedagogical Institute in Alma-Ata. In the 1920s Saken Seyfullin wrote several articles, related to world and Kazakh literature, which are still popular and interesting for readers. In 1922 a collection of poems under the name "Asau Tulpar" ("Indomitable Horse") was issued in Orenburg. The poems "Dombyra" ("Dombra", 1924), "Sovetstan" (1924) and "Express" (1926) were published in separate books. Saken Seyfullin was an innovator in poetry. Having analyzed poetic traditions of Kazakh people he renovated form and character of Kazakh poetry, introduced new themes and images in it. The poet also changed structure of strophes, rhythmic, syntax and intonation of Kazak poems. His historical and memoir novel "Tar Zhol, Taygak Keshu" ("Thorny Path") was published in 1927. In this work Seyfullin showed the struggle of Kazakh nation against the Tsarism, participation of Kazakhs in revolution and their fight for establishment of Soviet power in Kazakhstan. Throughout his creative work Saken Seyfullin paid much attention to collection, analysis, classification and publication of monuments of Kazakh folklore. The writer made a significant contribution to preparation of several works, including "Kazakhtyn Yeski Adebiety Nuskalary" ("Samples of Ancient Kazakh Literature", 1931), Kazakh version of the poem "Leyli and Majnun", book "Kazakh Adebiety" ("Kazakh Literature", 1932), and so on. Written in the 1930s poems "Albatros" ("Albatross", 1933) and "Kyzyl At" ("Red Horse", 1934) demonstrated Seyfullin’s position concerning occurred social phenomena. In his poem named "Kyzyl At" Seyfullin assessed all excesses committed during agricultural collectivization in Kazakhstan in the 1930s. In the 1930s Saken Seyfullin took part in discussions on the current problems of literature life. He even gave a report at the First Congress of Writers of Kazakhstan (1934) and the First All-Union Congress of Soviet Writers (1934). In 1935 he issued the prose "Aysha" and narrative "Zhemister" ("Fruitage"). The writer also participated in preparation of school textbook on Kazakh literature. Seyfullin played a crucial role in education of literary men. He supported such writers as B. Maylin, S. Mukanov, G. Musrepov, G. Mustafin, T. Zharokov, and to name but a few. He assisted them in publishing their first works. Seyfullin edited and wrote prefaces for their books. M. Karataev, K. Bekkhozhin, Zh. Sain and many others took lessons from Saken Seyfullin. Seyfullin’s works were published in many languages. He was the first Kazakh writer who was awarded the Order of Red Banner of Labor. Unfortunately, he didn’t finished his novels "Bizdin Turmys" ("Our Life") and "Sol Zhyldarda" ("At that time") which told about the life of his contemporaries. In 1938 Saken Seyfullin was repressed. The writer was executed by shooting in Almaty. In 1958 Seyfullin was rehabilitated (posthumously). In 1985 the Memorial Museum of Saken Seyfullin was opened in Tselinograd (today the city of Astana). In Kazakhstan there are theatres, schools, libraries and streets named after him. There is a monument in Akmola (Astana) created and placed in honour of the writer. The State Agrarian University, which situated in Astana, was named after Saken Seyfullin. Many artistic works were dedicated to him, including Mukanov’s play "Saken Seyfullin", Musrepov’s narrative "Kezdespey Ketken Bir Beyne" ("Once and Forever"), poems of A. Tazhibaev, A. Tokmagambetov, K. Bekkhozhin. Research papers of M. Karataev, B. Ismailov, S. Kirabaev, T. Kakishev, G. Serebryakova and others were focused on Seyfullin’s life and creative work.